As arguably the most trusted advisor for small and medium businesses, accountants are often expected to offer holistic business advice. So they are a great channel for getting your app in front of small business customers. Many advisors want to start recommending apps and encourage their clients into the world of technology advancement. The problem is, they are not necessarily comfortable doing so. It’s often up to the developer to provide guidance around their app’s benefits and how best to recommend it. 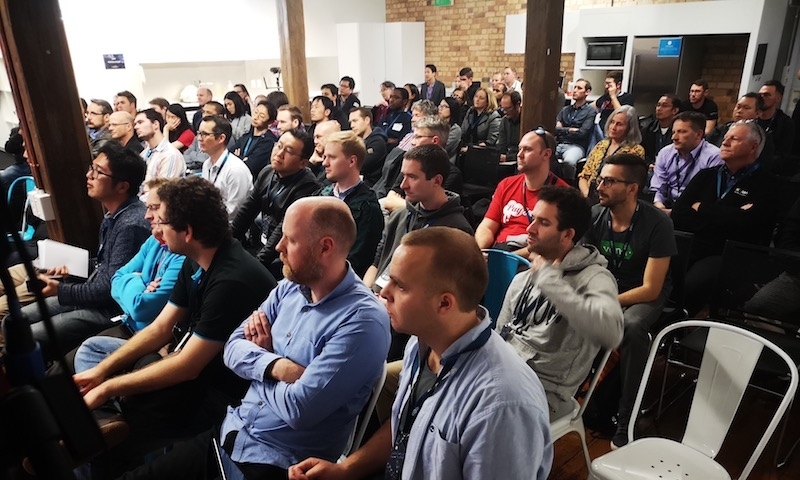 At Xero’s recent Developer Roadshow, XD18, we discussed some considerations to keep in mind when trying to teach advisors about your app – and how best to get them on board. It’s important to understand that a lot of advisors are not overly confident when it comes to recommending apps. Their position as a trusted advisor with established relationships also raises the stakes. If they make a recommendation which doesn’t end up working well for the client, it may damage the relationship. Despite some trepidation, we know that many advisors want to get involved in app advisory. One of the biggest barriers though is that the number of apps in the market can overwhelm advisors. This is especially true if it’s not obvious what makes one app different from the next. In Xero’s app marketplace alone, there are more than 700 apps designed to serve small businesses. This means it’s often the work you do with advisors that will make your app stand out over another. So, how can app developers make it easier for advisors to recommend their products to their small business clients? It helps to think about advisor needs in terms of three different life cycle phases: attracting, starting and running. During the attracting phase, you want to establish a really clear value proposition. Ensure you include information right down to your unique selling point, type of industry and target customer. This makes it a lot easier for an advisor to match your app with their clients’ needs. The next step is to look for opportunities to share your product and value proposition with advisors in person. Host your own event, or team up with complementary apps to host one together. Offer personalised demos to prospective advisors. Make it really clear to them how they can increase their revenue from recommending your product. Finally, take any opportunity you can to raise your profile and your app’s profile in the advisor community. Attend events targeted at advisors; ask your current users to review or recommend your app; join and participate in relevant forums and social media groups; create content for your website targeted at advisors and promote it via social media. Once you have the advisor interested, offer them a personalised onboarding experience to get them really comfortable with your product. While how your app works may seem logical and straightforward to you, many advisors may not be as tech-savvy. They may need a bit of coaching to enable them to understand all its features and benefits. Ensuring an advisor understands your product is an effective way to get them feeling positive about it. In turn, they’ll feel comfortable about recommending it to their clients. Additionally, it’s a good idea to consider offering online training or even a certification like many apps do. Teach advisors about the insights your app provides, and how they could build their advisory services around this valuable data. For example, figures like the number of repeat customers to their client can start a conversation around upselling strategy. Make sure your app is ready to plug and play, and have a business case ready. Include examples of your app providing advisory services which add both value to the client and advisor. It may sound simple but once you have onboarded your advisor, ensure you offer a robust support process. Show that you are responsive to enquiries. There is nothing worse than signing up to use a product or service and finding that you’ve been left to battle through issues by yourself because there is no one on the other end of the support request. With so many options available, it may feel challenging to stand out. But if you follow the above tips, including making your app’s unique value proposition clear, making the most of opportunities to showcase your app, and providing robust support, you’ll be well on your way to winning with the advisor community and getting your app in front of the right people. The post Getting advisors on board with your app appeared first on Xero Blog.